Welcome! 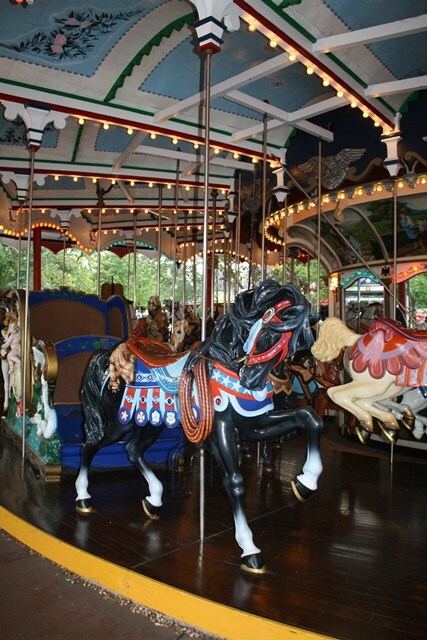 Off the Merry-Go-Round is a place of community & inspiration for parents who have scaled back their professional careers in favor of quality family time. I was in the emergency room with one of my daughters, worried, praying and waiting for the doctor. I had just emailed my office, from my smartphone, to let them know I was at the hospital, especially since we were in the midst of a huge marketing project. As huge as the project was, I had a revelation: my daughter and my family were so much more important to me. I had to find a better balance, a more healthy balance, between work and family. Luckily, my daughter’s condition was quickly treated. But I too had received a type of “diagnosis” and with the blessing of my family, I soon left my full-time position. Within days, changes for the better were taking place and I remarked to my husband that it felt like I had stepped “off the merry-go-round.” Today, I enjoy a much healthier balance of family time and freelance work. And I realize so many of my friends are in similar situations, having scaled back their professional lives, in order to devote more time to their families. This website and blog is intended to be a resource, a place of community, and sharing of ideas in order to support each other. Family time is precious! Many thanks! I will feature this on the blog VERY soon! Thanks so much for following us & thinking of us for the nomination! You are most welcome! looking fwd to more of your wonderful posts!